We are excited to welcome you to the New Covenant Worship Center Women's Conference. Our theme this year is God's Masterpiece! We want to remind you that you have been divinely crafted by God for good works and to fulfill the purpose God has for your life. Are you ready to join sisters from across the country as we are reminded who we are in Christ? We have amazing speakers, workshops and vendors. You don't want to miss it! The attire for the ENTIRE conference is causal, come relaxed and ready to receive what God has for you. Our conference color is purple, but you can wear whatever you like. If you are traveling from out of town or looking for a weekend get-away, there is a room block at the Hilton Garden Inn @ Rio Rancho. We do not recommend lodging at the Inn at Rio Rancho. We invite you to participate in our signature initiative, "A Purse for My Sister." Bring a new or gently used purse and/or toiletry items, feminine products, small bibles, non-perishable snacks or small journals. We will make a donation to a women's shelter in the community. Reverend Dr. Leslie Callahan, Ph.D. Your guest can also call the hotel at (505) 896-1111 to make their reservations. 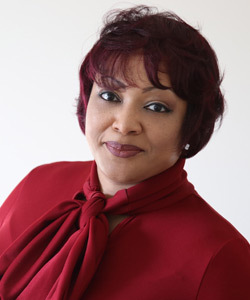 On May 17, 2009, the historic St. Paul's Baptist Church (Philadelphia,PA) called Reverend Dr. Leslie D. Callahan (from Gary, West Virginia) as the church’s first female pastor. She was installed on September 27, 2009. Dr. Callahan, who began the public proclamation of the gospel at age 19, earned the Bachelor of Arts in Religion from Harvard University/Radcliffe, the Master of Divinity from Union Theological Seminary, and the Doctor of Philosophy degree in Religion from Princeton University. She was ordained in 1997 at Judson Memorial Church and served as Minister of Christian Education at the First Baptist Church of Princeton, New Jersey. She also served as interim pastor of Salem Baptist Church of Jenkintown, Pennsylvania. 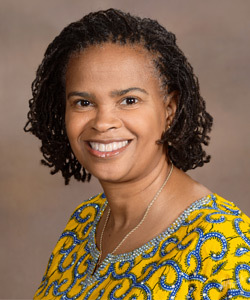 A gifted professor, Dr. Callahan, has served on the faculty of New York Theological Seminary (NYTS) as Assistant Professor of Modern Church History and African American Studies. Prior to her time at NYTS, she was a member of the faculty of the University of Pennsylvania as assistant professor of religious studies. Dr. Callahan’s chief joy is that she is the proud mother of Annabelle Inez. Dr. Callahan's favorite scripture is Psalm 27:4: One thing have I desired of the LORD; that I shall seek: That I may dwell in the house of the LORD all the days of my life, to behold the beauty of the LORD and to seek God in God's temple. Kelly Nicole Moultrie, affectionately known as Nikki by her friends and Lady Nikki by her church family, resides in Columbia, South Carolina where she serves alongside her husband, Pastor Simeon Moultrie, as the First Lady and Chief Ministry Officer of The Brook. She has earned a B.S. in Biology and a M.A. in Professional Counseling. Helping others help themselves through the power of God’s word and the work of the Holy Spirit is one of her greatest passions. Excited about God’s plans for her future, Lady Nikki continues to strive for a healthy balance in her roles as wife, mother, First Lady, and counselor. However, she is most proud to be called “Mommy” by her three children, Dominic, Nicholas, and Brielle. We want to remind you that you have been divinely crafted by God for good works and to fulfill the purpose God has for your life. Are you ready to join sisters from across the country as we are reminded who we are in Christ? © NCWC Women's Conference, all rights reserved.